Geographer of the eighteenth century. He wrote a geography of Palestine, in Hebrew, entitled "Ḳaẓwe Areẓ" (Zolkiev, 1772). 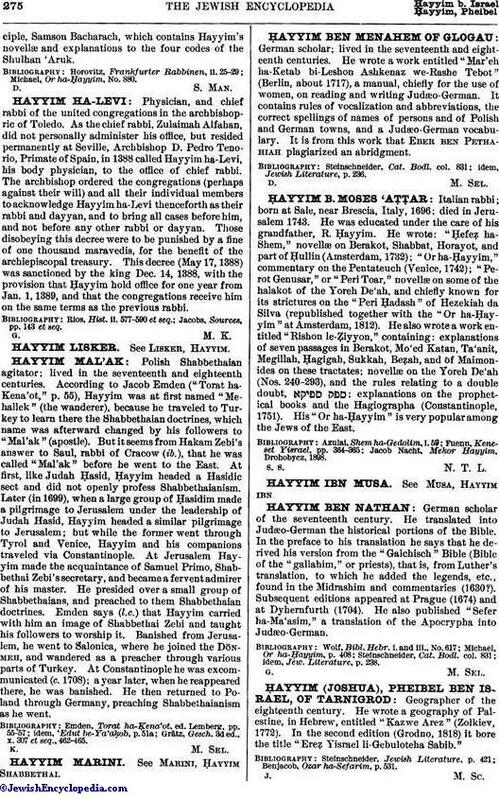 In the second edition (Grodno, 1818) it bore the title "Ereẓ Yisrael li-Gebuloteha Sabib." Benjacob, Oẓar ha-Sefarim, p. 531.